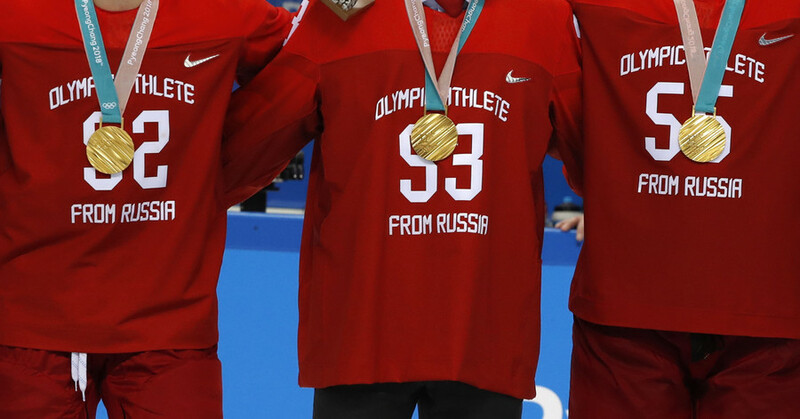 The Russian hockey squad, which won Olympic gold in a tight, nerve-racking overtime game against Germany, defied the IOC ban at the awards ceremony and sang the words of the national anthem over the Olympic Hymn. 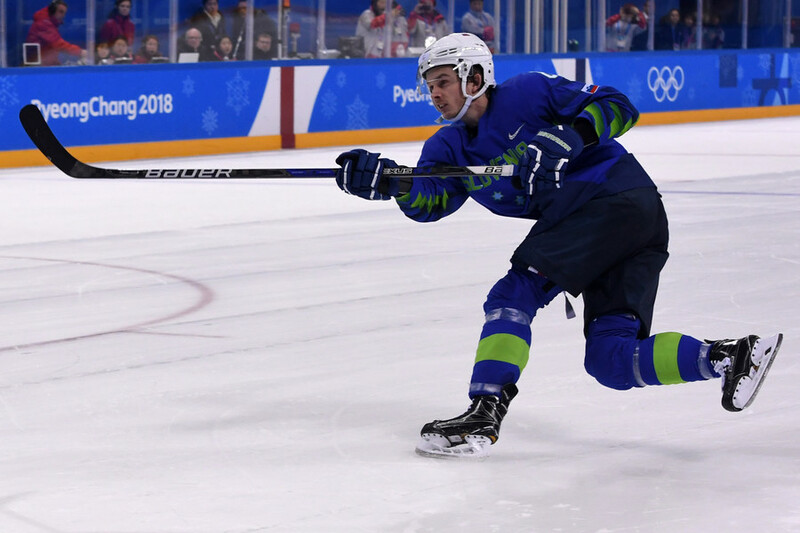 The Olympic hockey final turned out to be a real thriller, with the Russians winning on an overtime goal by Kirill Kaprizov – now hailed as a national hero. 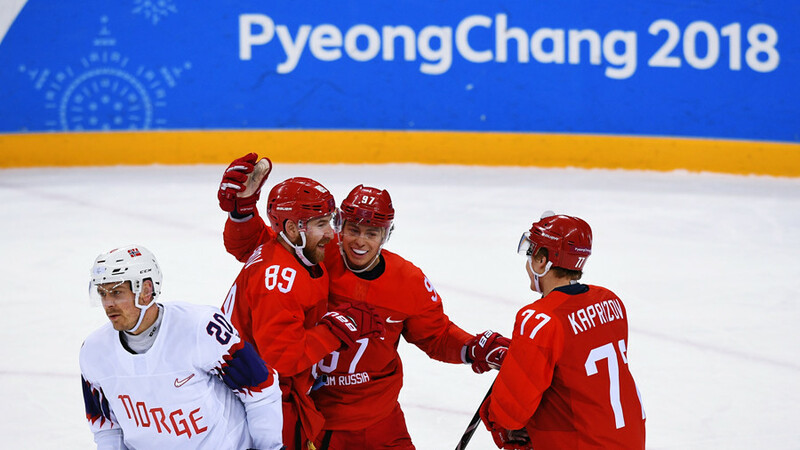 The Russian hockey players, who competed in South Korea under a neutral flag, beat Germany 4-3. The Olympic flag, with its five interlocked rings, was raised in honor of the Olympic Athletes from Russia (OAR) team as the players were awarded their gold medals. 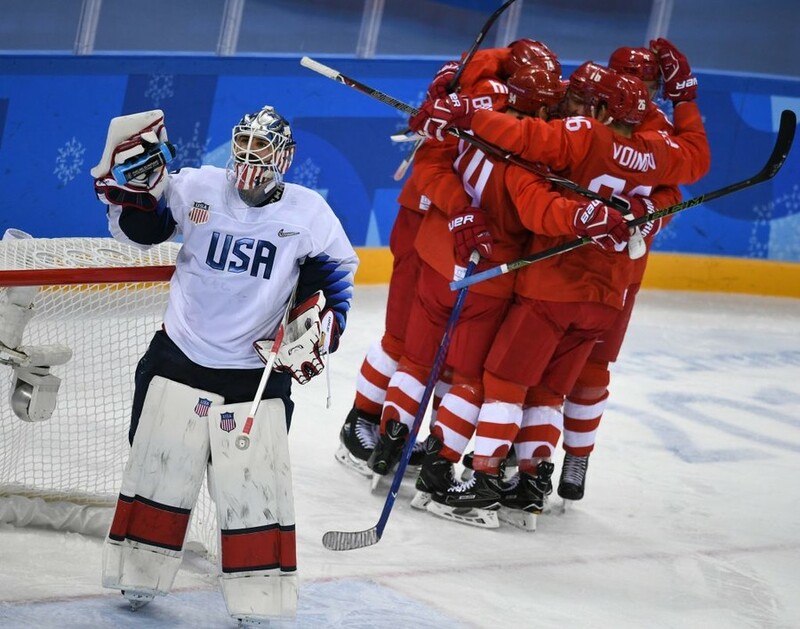 But the whole squad along with fans in attendance sang the Russian national anthem, drowning out the Olympic Hymn, despite the IOC banning the country’s athletes from any public activities associated with the national flag, anthem, and other symbols at the Olympics in PyeongChang. Russian social media users, who reposted the video of the hockey squad singing the national anthem in PyeongChang, reported that their posts were blocked by Facebook, Instagram and YouTube. According to the websites, the blocked footage included content from the International Olympic Committee that was blocked on copyright grounds. The Russian hockey team had probably anticipated this, as it once again sang the national anthem on the bus to the airport. Olympic hockey gold has been elusive for more than two decades for Russia, a country that takes particular pride in the sport. The last time the Red Machine took home gold was 26 years ago, following the breakup of the USSR. The former Soviet hockey players competed for what was then known as the ‘Unified Team,’ which beat Canada 3-1 in the final game. The Unified Team also had the Olympic flag raised for them. The International Olympic Committee disqualified the entire Russian team from the Winter Olympic Games in PyeongChang, as a result of a probe into alleged widespread doping violations by the country’s athletes and sporting officials. The Olympic governing body ruled that only “clean” Russian athletes would be able to compete in South Korea, under a neutral flag. Those Russians whose participation at the Games was greenlighted by the Olympic bosses were forbidden from even mentioning their Russian origin and barred from “any public form of publicity, activity and communication associated with the national flag, anthem, emblem and symbols” at any Olympic facilities in PyeongChang as well as on social media, including reposts and retweets.